Muehlenbeckia axillaries is a low dense shrub, forming wiry mats up to about 1 m in diameter. It is a native to New Zealand and Tasmania, New South Wales and Victoria in Australia. It spreads along the ground and even underground. 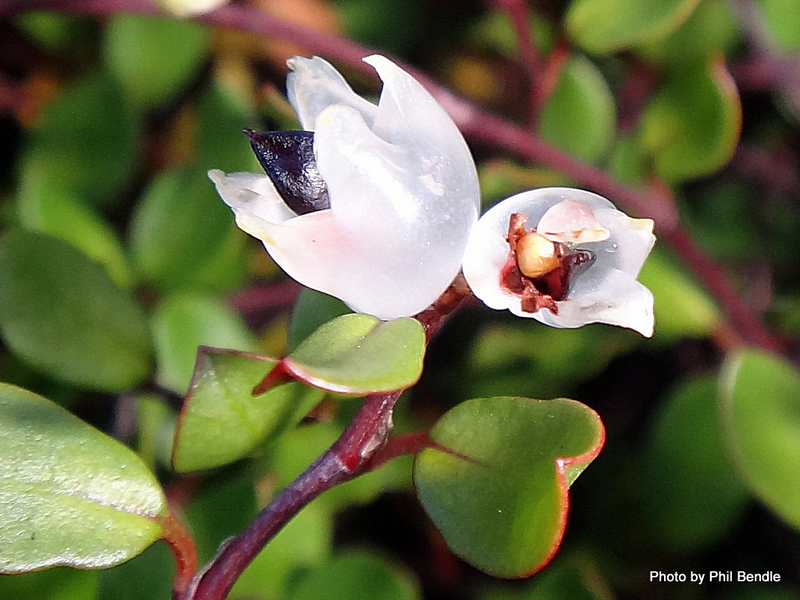 This species is naturally found in rocky areas and riverbeds in the South Island and lower North Island. It flowers prolifically in summer with masses of small creamy flowers. The flowers are yellowish-white, 4-8 mm in diameter, and borne in groups of up to 3 in the axils. Male and female flowers often occur on the same plant and the female flowers form small opaque white fruit. 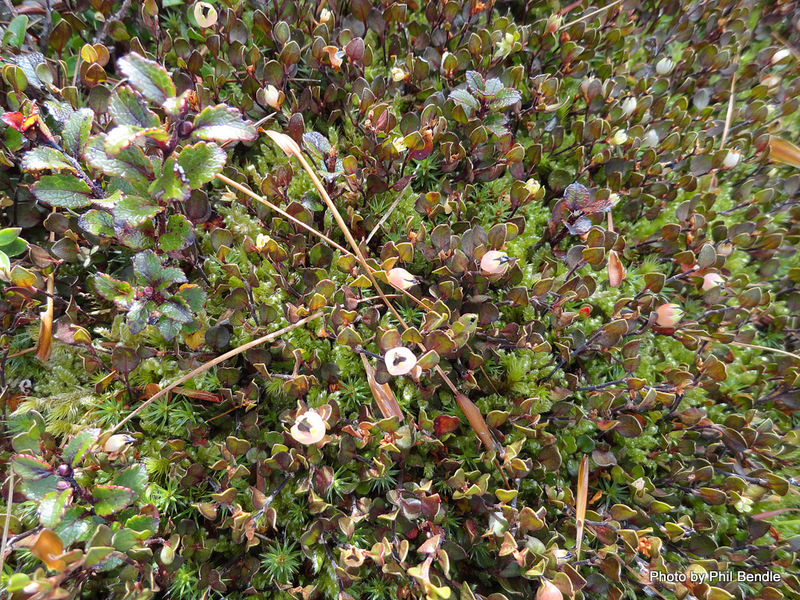 This groundcover has stems and small dark green leaves. Muehlenbeckia axillaris has thin wiry red-brown stems, with small dark green leaves that are less than 1 cm in diameter, and 2–4 mm thick.